Seed saving workshop and seed swap! The Mid Blue Mountains Seeds Savers will be running a small workshop at the Katoomba Community Gardens on Sunday 4th March 2pm-4pm as part of the Blue Mountains Edible Garden Festival – come along and chat about seeds, food plants, swap some plants, cuttings or seeds and talk about growing edible plants in the local area with like minded people! After our normally scheduled seed savers meeting at Bullaburra on this day we have an open Seed Savers workshop planned between 2pm and 4pm at the Katoomba Blue Mountains Community Gardens site as part of the Blue Mountains Edible Gardens Festival which is running for this entire weekend – both Saturday 3 & Sunday 4 March. 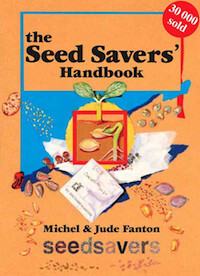 The idea for this is to be a general seed workshop and swap – including both seeds and plants. Sarah and Lloyd will be leading the general discussion and promotion of seed saving and plant growing. This will include a general talk about seed saving and edible plant growing. We will be taking some seedlings and plant cuttings along to swap and help promote the group. If we have enough interest we may even try to make this a repeating event. This festival is being primarily promoted on facebook but for those not using facebook you can see some of the details on the Lyttleton store website. The online map is interactive so that you can plan your visit. You can zoom in and see a picture of the garden as well as a brief description.